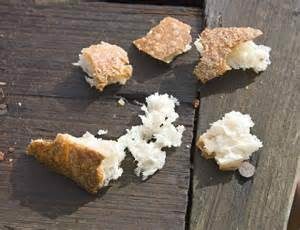 The crumbs from the budget table. That’s what I thought when listening to the budget delivered by the robotic spreadsheet known as Philip Hammond. First all of the Macro (big stuff). Erm, well it’s bad. Economic growth (what the country produces) forecasts were out. Well out. In fact they will be a quarter worse than we predicted. Imagine that for your household budgets?! Thought your wage was going to be £1000 a month but was actually £750, this isn’t a minor error. This means lower tax receipts (but still plenty to give to top rate earners and corporations!) so less funding for schools and hospitals. This pushes borrowing and debt up even more. It is the lack of growth in the last 7 years that has pushed borrowing up, not excessive spending. It was the early choking off of growth from austerity that caused this. Productivity is also down, it is not expected that the UK will produce anymore. In terms of a household, it’s the same as your wages falling when you expected them to rise, credit card bills going up and the quality of your house getting worse, hang on that’s pretty accurate for many. Onto the policies. Nothing on public sector pay. Still being cut. Our teaching assistants to our soldiers will continue to see prices go up more than their wages. But the paradise papers last week show us that there is plenty of taxable money out there, it’s just that it’s on Lewis Hamilton’s private jet. Oh but there will be a premium paid for Maths study, the fact there are no teachers out there to teach it is neither here nor there. The NHS will get an “extra” £2.8bn, this is a unique way of additional funding. Cut the funding (it is claimed the NHS will have a £30m black hole by 2020) then give back just a bit of it. If you have ever been burgled, I’m sure you would be oh so grateful if the burglar came back with your kettle whilst hording all they stole. On the railways, ignore the fact that since 2010 rail fares have gone up 27% and all of the profits are flowing to shareholders abroad, 25-30 year olds can save a third on a trip to London once a month! No nothing on commuter fare, still £5000 a year for you I’m afraid. The planned fuel duty rise for petrol has been stopped, that’s good news. Hang on, planned by whom? They’ve been in power for 7 years, did they plan to increase it and then didn’t? How’s this good news!? It’s the same as it was! But a great boost when real wages are collapsing. Then on housing, a “long term goal to build 300,000 homes a year by the mid 2020’s”. An admirable goal, I have a long term goal to be playing Premier league football by the mid 2020’s, I have absolutely no idea how but nor do they on this xso on we go. Cutting stamp duty for first time buyers as usual with Tory housing policy is throwing fuel onto the demand side fire. A simple demand and supply diagram could show spreadsheet Phil that it is supply that needs to rise not demand. It is this that would make them more affordable. The policy may help someone my age but just pushes home ownership further away from those younger. Take the crumbs away, and this is another budget of falling growth, falling wages, falling productivity, falling home ownership, and rising debt. How long is this long term economic plan? This entry was posted in Opinion on November 22, 2017 by Ashley Pearce.